Pass the puck (and parking) with Metro Transit and the MN Wild! The puck is about to drop for the end of another MN Wild season. 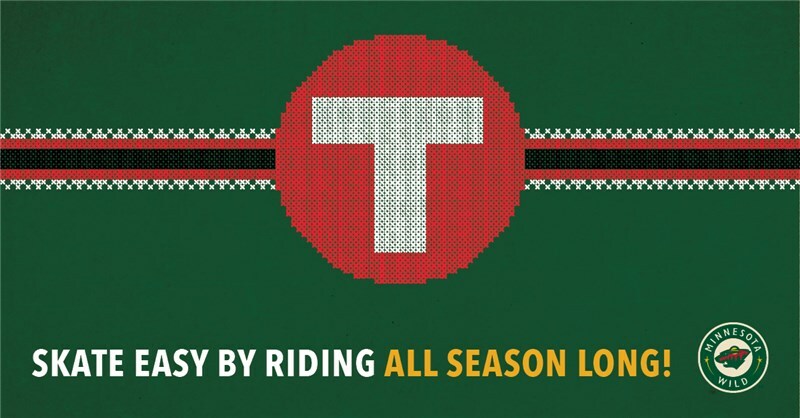 Cheer on the Wild and avoid parking headaches by riding Metro Transit for the remainder of the season. With the METRO Green Line and several bus routes dropping off within blocks of the Xcel Energy Center, it’s a win-win for you as a hockey fan.